January shines light on a body part that often goes overlooked: the thyroid. Small but mighty. Normal thyroid levels keep many important bodily functions running smoothly. From digestion to temperature, normal thyroid levels are at the root of balance. Let’s discuss the facts for Thyroid Awareness Month! About 60% of people with a thyroid imbalance don’t know they have one. Women are twice as likely to have a thyroid imbalance than men. Men and women experience similar symptoms of hypothyroidism such as cold feet and hands and unexplained weight gain. Fatigue in women is sometimes related to thyroid imbalance. But, the opposite is true, too. Normal thyroid levels that have become off kilter are often the cause of unexplained weight gain, weight loss, temperature sensitivity and much more. It’s important to maintain normal thyroid levels so that you can be at your best, at any age. Where is the thyroid? The thyroid is a small, butterfly shaped gland at the base of the neck. In some conditions, it becomes enlarged and very visible, such as in Goiter. One of the most important functions that the thyroid controls is metabolism. With that, thyroid weight gain is usually a primary symptom of an undereractive thyroid: hypothyroidism. Weight loss can be a symptom, too. Unexplained weight loss is often linked to overactive thyroid, known as hyperthyroidism. If you haven’t changed your dietary intake or activity level and have gained or lost a significant amount of weight, it could be your thyroid. Weight gain is one symptom of hypothyroidism. 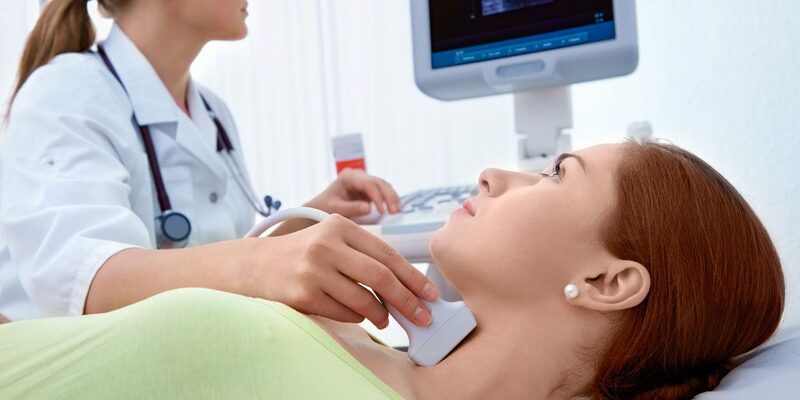 Normal thyroid levels are determined through specific tests. These tests are given only by certain doctors with a special interest in thyroid function and treatment. There are many misconceptions online and in the public relating to the thyroid, thyroid testing and thyroid treatment. Especially with the advent of consumer online research, it’s easy to be misinformed. With that, there is fear around thyroid cancers, lifelong thyroid disease and the limitations thyroid dysfunction brings. However, many forms of thyroid condition are manageable through medication or other means. For this reason, choosing a thyroid doctor that provides you with relevant and accurate education, testing and options will ensure you begin a path of recovery. Sometimes, it is a collaborative effort between your chosen providers depending upon your individual case. With that, it’s key to choose a thyroid doctor to assess your thyroid function and put you on a path to balance. Dr. Russo has extensive training in the thyroid and provides the proven testing to measure thyroid function. Do You Need Thyroid Supplements? Thyroid imbalance is most often treated through medication, supplements and sometimes surgery. Surgical removal of the thyroid can be postponed in some cases depending upon Dr. Russo’s recommendation. However, once removed, patients are put on thyroid supplements in order to regulate the chemicals once released by the thyroid. It’s important to not manage your thyroid supplements on your own. Because the thyroid manages so many critical aspects of our bodies, it’s supplementation needs to be managed by Dr. Russo. Mismanaged thyroid supplementation can wreak havoc on a system. Once Dr. Russo determines your thyroid imbalance issues, together you’ll develop an action plan for optimal thyroid balance. The bottom line is to partner with your provider, not supplement your thyroid solo. Do you know your thyroid function? Take this month to get tested at Inner Beauty.